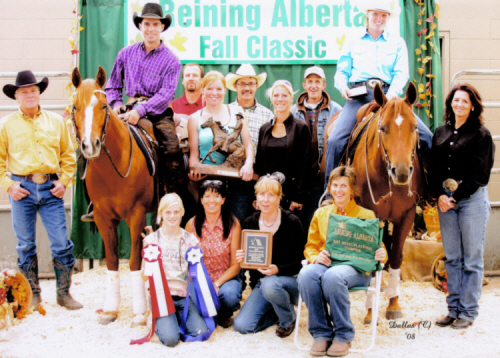 Hat Creek Horse Company - CRBC, NRBC, and Canadian Supreme Reining Horses for Sale Horses Offered for Sale at Hat Creek Horse Co.
Where the coffee is hot, the beer is cold and the price is right. 6 Year Old Finished Reiner - Ready for the Showring. Suitable for youth or beginner rider. Aaron can even ride him bridleless. 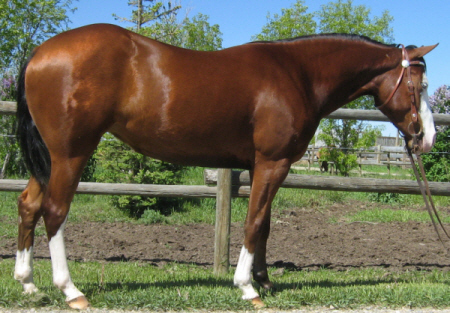 Topaz Hickory is a 2006 Dun gelding by Hickory Hello, by Zan Freckles Hickory, out of Miss Hello Hollywood who is also the dam of Jacks Electric Spark. His dam is Rich Doc Holly, by Doc N Kitty. like his half-sister Hello Hollywood Babe. Enrolled in the Canadian Supreme and Alberta Sire & Dam. click on photo for more info and pics of Whizkey. and out of a Colonel Freckles mare. click on photo for more info and pics of Sir. 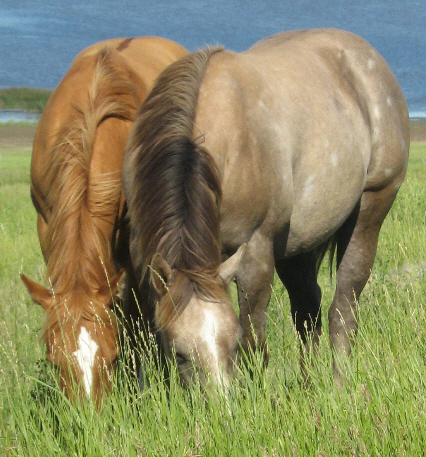 2006 Buckskin Stallion by Hickory Smoked Chex and out of a Nu Chex to Cash mare. click on photo for more info and pics of Boom. 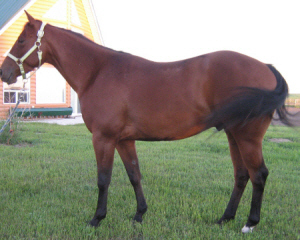 2008 High Scoring 3 yr old of Canadian Supreme Non Pro Futurity 2nd Go. and out of a Boomernic mare. Has lots of cow. 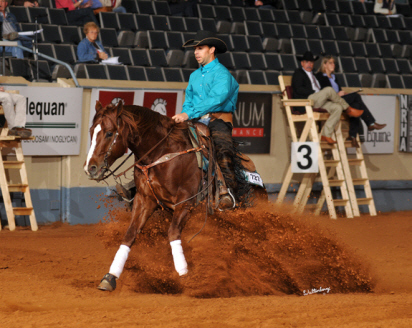 If you're looking for a Futurity Prospect for 2011, look no further - this gal has it all !! She's got the look, the pedigree, the stopping power and the brains to back it all up. 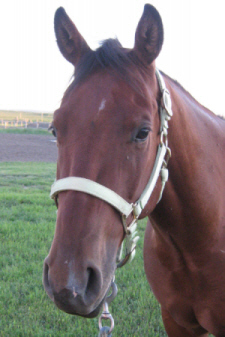 out of Miss Hello Hollywood who is also the dam of Jacks Electric Spark. out of SSSMOKIN an NRHA money earning daughter of GUNNER. 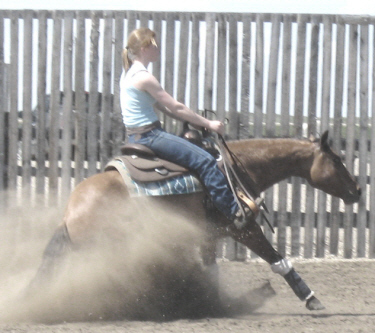 2007 Canadian Supreme scoring a 144.5 and was a 2007 NRHA Non Pro Futurity Finalist. 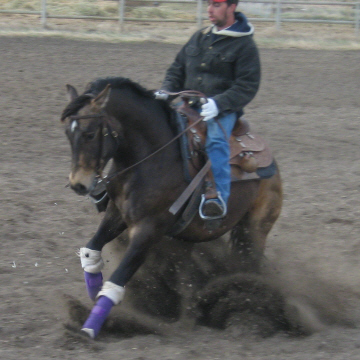 Layla is in Reining training with Ryan and is coming real nice - video available. 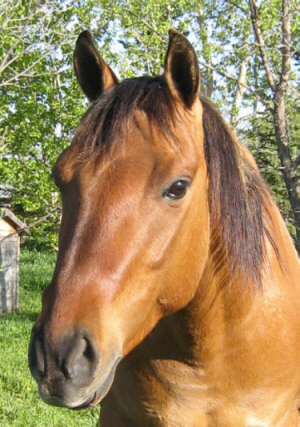 Nominated to the NRHA, the Canadian Supreme and Reining Alberta Sire & Dam. 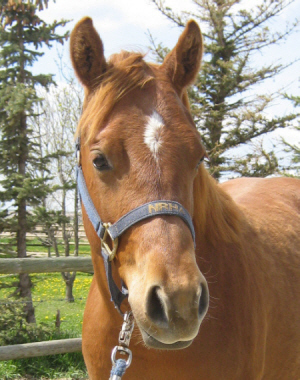 Bentley is a 2006 Sorrel mare by SMART SPOOK and out of A DICEY LADY by CHEX MY FRECKLES. 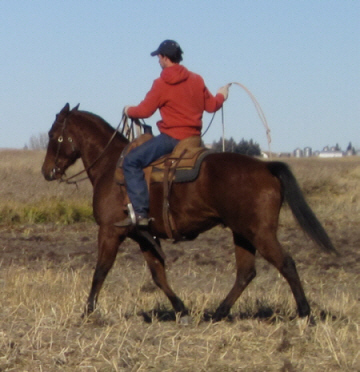 Ryan bought the mare late in her 3 year old year so she got a late start, but she has a super personality - in addition to reining training, Ryan also hooked her to the sleigh or manure spreader nearly everyday. 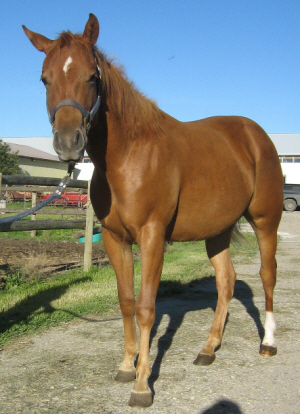 This mare is ready to step into the show ring and is well enough bred to put in your broodmare band. Check back soon for some better pics of this gorgeous filly, as these do not do her justice. 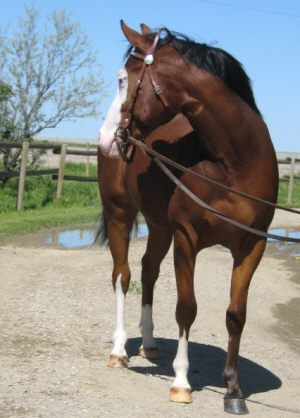 and out of Baby Boomerang, by MonteVerde and out of a Boomernic mare. Baby Boomerang has LTE $10,000. This gal has everything going for her - a big eye, big hip and big pedigree ! 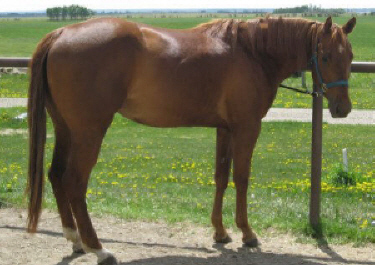 This 15H good-looking versatile gelding is ready to go just about any direction you want to take him. He's trailed cattle, has 6 months Reining training and Ryan has been roping off him. Nothing spooks him. Just a real nice horse, easy to get along with. click on photo for more info and pics of Hickello. 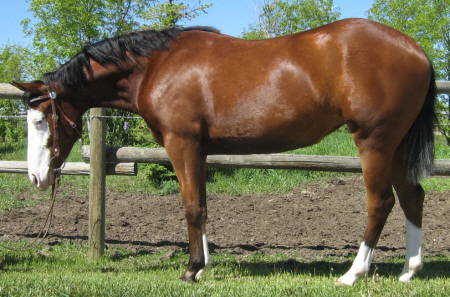 Hick is a 2007 15H black gelding by Hickory Hello, by Zan Freckles Hickory, out of Miss Hello Hollywood, who is also the dam of Jacks Electric Spark. Hick's dam is Rich Miss Poco, by Toms Tinky and out of Rich Ms Poco Doc, by Doc N Kitty . OTW Non-Pro Reining Futurity Reserve Champion. 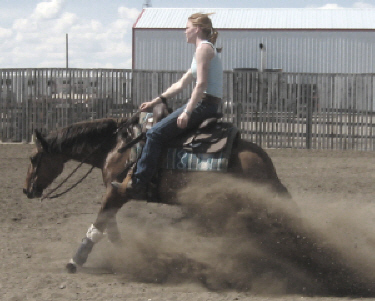 2007 Canadian Supreme Non-Pro Futurity scoring a 144.5 and was a 2007 NRHA Non-Pro Futurity Finalist Money Earner. This guy has lots of speed and would make a good Barrel prospect. His siblings have also done well in the cutting pen. 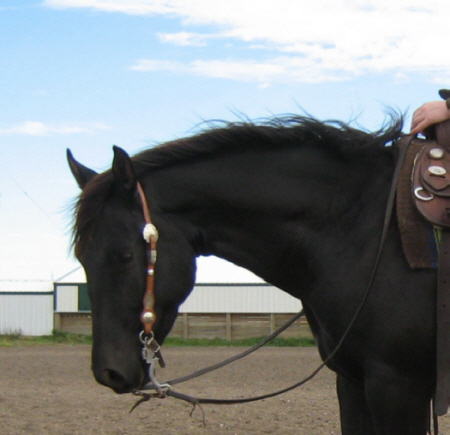 No buck in him, but he does shy a bit, so needs an experienced rider. He was hooked to a cart and driven everyday through the winter as a yearling. 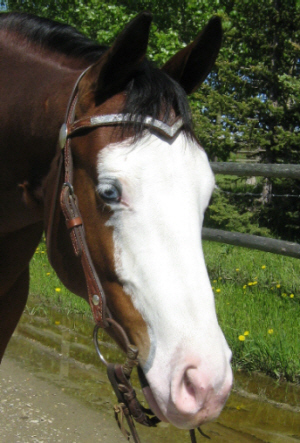 Hick is nominated to the Canadian Supreme and Reining Alberta Sire & Dam. The red dun is SOLD. The grey is SWEET LIL HOULIHAN. 3 Year olds for sale. 4 Year olds for sale. 5 Year olds for sale. 6 Year olds for sale. Note: All prices subject to GST and subject to change without notice. quick before all of the places are filled. but I'm gettin so I like to sleep late. food plus yours holds you till noon when you get fed again. It's no wonder these city boys can't walk much. We go on "route marches"
board. Majors and colonels just ride around and frown. They don't bother you none. hit it. You don't even have to load your own cartridges. They come in boxes. best they got in this except for that Tug Jordan from over in Silver Lake. I only beat him once. He joined up at the same time as me, but I'm only 5'6"
and 130 pounds and he's 6'8" and near 300 pounds dry. onto this setup and come stampeding in.